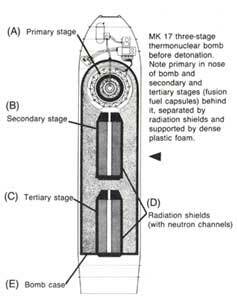 Nuclear Tsunamis—Weapons of Mass Destruction Revealed At Last!! "Like a war zone"....Some of the devastation from a nuclear tsunami that hit Indonesia on Dec. 26, 2004, killing almost 300,000 people!! Pentagon strikes again . . . in Iran . . ..with another nuclear "earthquake" . . . Special report from the BBC. Check the U.S. Geological survey daily for Pentagon nuclear activity. March 28, 8.7 magnitude earthquake in Sumatra Trench produces no tsunami!!...joevialls.co.uk. The Pentagon is POISONING Iraq and Afghanistan with depleted uranium!! Pentagon has more than 10,000 nukes in its deadly arsenal!! The Pentagon has more than 10,000 deadly nukes in its arsenal. Each hydrogen bomb is 50 times more powerful than the atomic bomb that fell on Hiroshima, Japan in 1945. One such bomb strategically placed could devastate a country the size of England. Hitler had the H-bomb in 1945 and the Pentagon took Hitler's H-bomb to the U.S. and tested it in Alaska on April 1, 1946. Theoretically, the Pentagon 9 megaton W-53 thermonuclear warhead shown on the left, could easily be encased in a small 'lookalike' saturation diving chamber similar to that on the right, to protect it from the massive 10,000 pounds per square inch pressures at the bottom of the Sumatran Trench. The whole armored package would weigh less than five tons, allowing it to be slipped over the stern of any oil rig supply vessel, of which there are more than 300 in Asia alone. Who would even notice? Deadly hydrogen bomb is a nuke within a nuke!! The hydrogen or thermonuclear bomb is just a nuke within a nuke. In other words, it uses fission and billions of degrees in a conventional atomic bomb (primary) to trigger a chain reaction (fusion) in another bomb (secondary) in order to create a nuclear explosion. A third or tertiary stage can be added yielding up to 20 million tons of TNT!! Dr. Edward Teller said that the limit on these monsters was 100 million tons of TNT!! The first H-bombs produced in Nazi Germany were huge devices and needed special refrigeration devices (cryogenics) to keep the liquid deuterium below 400 degrees Fahrenheit. A submarine was the ideal delivery method at that time but the sub would be blown up in the explosion too. 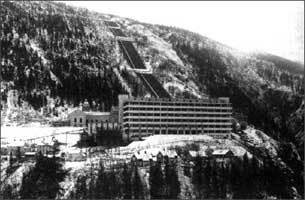 After World War II, Alaska was chosen as the favorite site of the Pentagon for testing nuclear weapons. It was near Russia so the fallout would contaminate Siberia and remote enough from the mainland U.S. to hide the effects of the "shots" or testing. 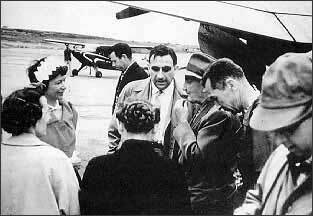 The coordinator of Alaska nuke testing was Dr. Edward Teller—the so-called "father of the H-bomb:"
Dr. Edward Teller, center (1908-2003), the so-called "father of the H-bomb" visited Alaska frequently. Under the guise of the peaceful use of nukes he tested several H-bombs in Alaska under the code name Project Chariot. Teller tested a hydrogen bomb in Alaska on April 1, 1946. The Pentagon controlled world press reported it as an "earthquake" and tsunami. This hydrogen bomb explosion was triggered by a gun-assembly device similar to the one used on "Little Boy"—the Hiroshima bomb. "On Nov. 4, 1952 a strong earthquake (magnitude 8.2) off the coast of Kamchatka Peninsula generated a great destructive Pacific-wide tsunami. Its waves struck the Kamchatka Peninsula, the Kuril Islands and other areas of Russia's Far East, causing considerable damage and loss of life. The tsunami was widely observed and recorded in Japan, but there was no loss of life or damage there. There was considerable damage in the Hawaiian Islands and some damage in Peru and Chile. The tsunami was recorded or observed throughout the islands of the Pacific. In New Zealand waves reached height of 1m. In Alaska, in the Aleutian Islands and in California waves of up to 1.4 meters were observed or recorded. By far the largest waves outside the generating area were observed in the Hawaiian Islands. Fortunately, no human lives were lost in Hawaii from this tsunami, but damage was extensive, estimates ranging from $800,000- $1,000,000 (in 1952 dollars). The tsunami caused damage on Midway Island. Elsewhere in the Hawaiian island chain, the waves destroyed boats and piers, knocked down telephone lines, and caused extensive beach erosion. In some locations, tsunami waves were destructive in certain locations but hardly noticeable at others. The north shore of the Island of Oahu experienced higher waves of up to 4.5 meters. On the south shore of the island, the tsunami was powerful enough to throw a cement barge in the Honolulu Harbor into a freighter." (Intl. Tsunami Info. Center). "On March 9, 1957, an 8.3 magnitude earthquake south of the Andreanof Islands, in the Aleutian Islands of Alaska - in the same general area as that of April 1, 1946 - generated a Pacific-wide tsunami. Although no lives were lost, there was extensive destruction of property in the Hawaiian Islands, with damage estimated at approximately $5 million (1957 dollars). The waves were particularly high on the north shore of the island of Kauai where they reached a maximum height of 16 meters, flooding the highway and destroying houses and bridges. This was twice the height of the 1946 tsunami. At Hilo, Hawaii, the tsunami runup reached 3.9 m and there was damage to numerous buildings along the waterfront. Within Hilo Bay, Coconut Island was covered by 1 m of water and the bridge connecting it to the shore, as in 1952, was again destroyed. "(Intl. Tsunami Info. Center). "The largest earthquake (magnitude 9.5) of the 20th century occurred on May 22, 1960 off the coast of south central Chile. 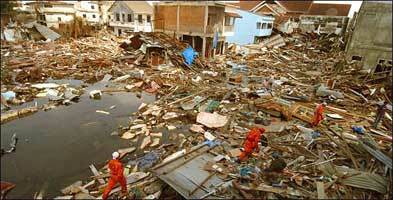 It generated a Pacific-wide tsunami, which was destructive locally in Chile and throughout the Pacific Ocean. The tsunami killed an estimated 2,300 people in Chile. There was tremendous loss of life and property in the Hawaiian Islands, in Japan and elsewhere in the Pacific. Destructive waves in Hilo, Hawaii, destroyed the waterfront and killed 61 people. 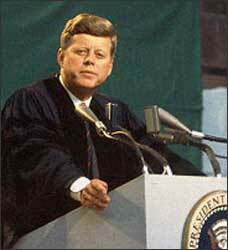 Total damage was estimated at more than $500 million (1960 dollars)."(Intl. Tsunami Info. Center). "Teller pointed out that deuterium would be far cheaper to obtain than U-235 or Pu-239 and that the explosion could be made indefinitely large by increasing the amount of deuterium placed near the fission bomb. From that point on, although Oppenheimer tried to bring the discussion back to the fission bomb, Bethe and others spent much of their time at the meeting arguing with Teller about his Super ideas. Bethe recalls Teller being so preoccupied with the Super that at one point, in a discussion of the Germans' desire for heavy water (as a moderator in the nuclear reactor), "Teller as usual jumped thirty years ahead of time and said, 'Of course they want heavy water to make a Super. '"(Hoddeson, Critical Assembly, p. 45). 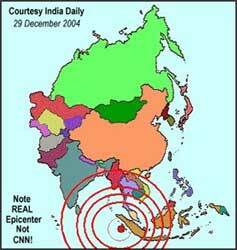 Joevialls.co.uk....how the Pentagon orchestrated the Asian "earthquake" and tsunami!! 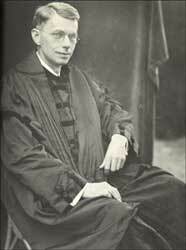 "Still supported by Rockefeller Foundation grants, Teller went on to spend a year in Britain at the University of London, studying and working under Dr. F. G. Donnan, the noted biochemist. Then, having become widely known in scientific circles through his work on the Rockefeller Foundation, Teller attracted the attention of two U.S. universities. Princeton offered Teller a fellowship; George Washington (in Washington, D.C.) offered him a full professorship. Teller accepted the latter offer, and in 1935, moved to the United States, where he has lived ever since. "(Shepley, The Hydrogen Bomb, pp. 43-44). The Rockefeller Foundation also founded the Kaiser Wilhelm Institute for Physics in Berlin in Jan. 1938. That was where research on the German H-bomb was carried out.... In case Hitler lost WW II, Rockefeller had a backup plan of using his Pentagon to carry on his fanatical Fatima Crusade against Russia!! In Dec. 1938, German physicists Hahn and Strassman announced the discovery of fission in uranium. In March 1939, Germany invaded Czechoslovakia in order to control that country's uranium mines. In Sept. 1939, World War II officially began with the invasion of Poland. Why would Hitler begin a world war over control of uranium and then not make an all out effort to develop the ultimate weapon—the H-bomb?? O'Neill, Dan. The Firecracker Boys. St. Martin's Press, New York, 1994. (A great exposé of Edward Teller and Alaska nuclear testing called Project Chariot and Operation Plowshares). Powers, Thomas. Heisenberg's War: The Secret History of the German Bomb. Alfred A. Knopf, New York, 1993. Shambroom, Paul. Face to Face with the Bomb: Nuclear Reality after the Cold War. Johns Hopkins University Press. Baltimore, MD., 2003. Shepley, James R. The Hydrogen Bomb. David McKay Co., New York, 1954.